Explore our wide selection of cordless telephones with features like Connect to Cell™, caller ID, digital answering systems, and more to find the system that's right for you. The latest in cordless phone technology, DECT 6.0 provides enhanced security, clarity, and range so you get crisp, clear calls from almost anywhere in your home. 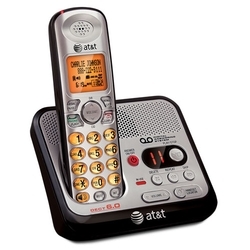 Pair your BLUETOOTH® wireless technology-enabled cellular phone with any of our compatible cordless phone systems to make and receive cellular calls through your landline cordless phone. Have trouble seeing small screens or keys? These systems can help. With features like extra-large displays and big buttons, they make calling a breeze. Loaded with features and style options, our wall-mountable systems take in-home communication to the next level.